Logitech continues to improve their department of gaming peripherals. 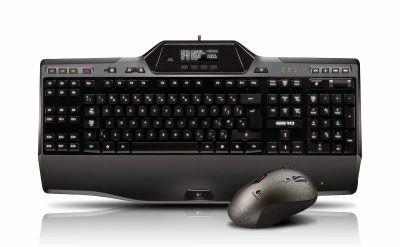 The company last month united peripherals for gamers into a single Logitech G product line and introduced a redesigned six keyboards and mouses, and two new headsets. Continued development of Logitech G line refers to support for other platforms. Logitech reported that applications Logitech Gaming Software (LGS) now supports all gaming keyboards and mices from the offer on Mac too. In recent years Mac hardware and software platform is becoming more and more interesting to gamers, and now fans of playing games on a Mac can use all the advantages of Logitech peripherals as well as the players on the PC. This implies programming macros and additional commands and customising peripherals to users own gaming preferences. The list of supported hardware units for the Mac version of the LGS and the links for download of the software can be found on the official website.